Many Americans upset by Obama’s policy of pushing Israel compromise, says former Israeli ambassador. A growing number of Americans, including politicians, are upset by United States President Barack Obama’s policies relating to Israel, according to former Israeli ambassador to America Yoram Ettinger, speaking to Arutz Sheva. Ettinger returned this week from a four-week trip to the U.S., where he visited nine cities and met with members of Congress and the Senate. 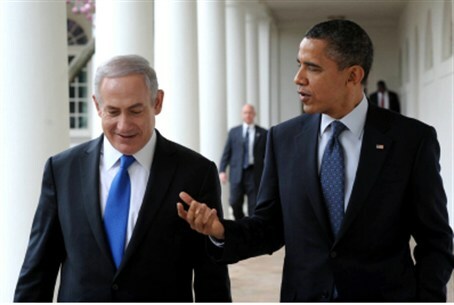 “Likewise, most of those I met were upset with President Obama for not treating the state of Israel properly,” he added. “There’s a growing appreciation for Israel. More people understand that the United States has one ally that is loyal, stable, and democratic,” Ettinger explained. Obama’s upcoming visit to Israel will be highly instructive as to his approach to Mideast politics, Ettinger said. “The visit will show whether Obama decided to learn from history and not to repeat his mistakes from the past four years,” he said. “I think it’s best to handle it far from the eye of the media,” he concluded.